There are many common questions and concerns many people have about HVAC repair and maintenance. Whether it is a question about your existing HVAC unit, or a new heating and cooling system, the HVAC experts at Air In Motion are here to help. Air In Motion is an HVAC heating and cooling company operating out of Mississauga and throughout the GTA. The HVAC technicians are fully trained and certified to assist with all of your HVAC queries. You can contact the office by email or phone for more information. Air In Motion offers a quick response time, providing feedback within 2 hours for any request made within business hours. Here are some of the most frequently asked questions about HVAC repair. How often should the air filter be checked and replaced? Depending on the season, air filters should be checked as frequently as once a month. In extreme temperatures, your HVAC unit will work harder and therefore the filter should be changed more often. On average, air filters should be at least checked, and probably replaced, about once every three months. Frequency may be increased for home owners with pets, allergies, or respiratory issues. Indoor humidity is the humidity level that your house reaches on the inside, due to hot weather or furnace heat. Optimal indoor humidity levels should sit somewhere between 30 and 40%. If humidity levels get too high, it can result in a variety of problems for your home. On the other hand, if humidity levels are too low, it can also cause problems. Keeping your humidity levels between 30 and 40% will keep your HVAC unit running efficiently, reducing energy costs and wastage. What type and size of HVAC should I get? Determining the proper HVAC unit that will be most effective for your space can be a challenge if you don’t know what you are looking for. You may think you can never go too large, because it will just get the job done faster, right? Wrong. A unit that is too big may heat or cool your space quickly, but it will not be able to maintain a comfortable temperature over time. It can also cause spikes in humidity because the moisture in the air is not being properly extracted. Conversely, if the unit is too small for your space, it will likely run incessantly without ever really getting the job done. The expert technicians at Air In Motion can be a huge help with this decision. Does an HVAC unit require regular maintenance? It sure does. Preventative maintenance offers all kinds of benefits for your HVAC unit and your wallet. Any money that you dish out for routine maintenance will all come back in the end, and then some. 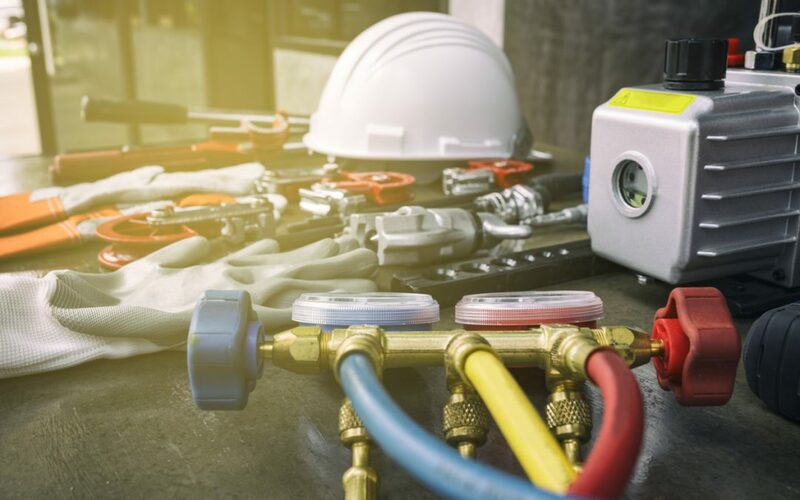 Without regular maintenance you are looking at costly repair bills, inflated energy expenses, more wear and tear on your equipment, and a shorter lifespan of your HVAC unit. A selection of HVAC service and maintenance plans are available at Air In Motion Heating & Cooling.